Banks and other financial institutions have long been leaders in information security, spending a significant amount of their IT budgets on safeguarding their companies. While these companies have always been aware and working on reducing threats, new challenges continue to emerge, making it even harder to keep managing risks and resources in this critical area. 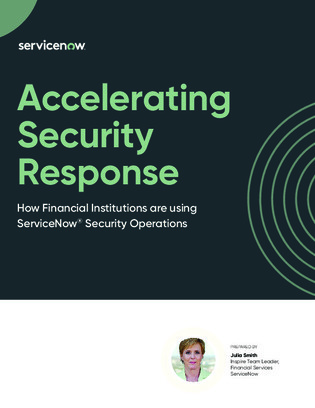 In this white paper, learn about some of the new challenges financial institutions are facing and how platforms like ServiceNow can help them to address these challenges.